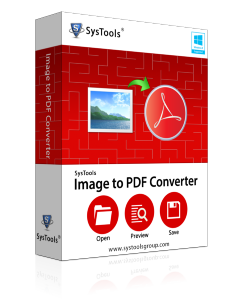 Multiple image files of different files and extensions can be converted to PDF format in bulk using Image to PDF Converter. No changes are done to the resolution and the pixels of the image during the conversion process thus avoiding the risk of losing the image quality. Before the conversion , you can have a preview of the images that are to be converted. After the conversion is completed , you can have a preview of the PDF File before saving it to the desired location. The software can save all images either into a single PDF or create one PDF for each image. Image to PDF conversion software is an efficient graphics to PDF conversion utility that provides functional support to convert JPG to PDF, JPEG to PDF, PSD to PDF, BMP to PDF, PCX to PDF, ICO to PDF, GIF to PDF and other file format to PDF file format in impeccable way. images to PDF conversion software is an effective way to convert images to PDF file without harming the original images. Step 4:Choose the option for saving as single PDF or PDF per Image. Does this software allow users to convert multiple image files of different file formats into PDF at once? Yes, a user can convert multiple images of different or same file format to PDF at once. Does this software save multiple images to one PDF? Yes, the user is allowed to save all images to single PDF file or separate PDF files. Will it maintain the quality of the image after conversion? Yes, this software maintains the quality of the software even after conversion. This software retains all image properties like: dimensions, resolution, size, etc. Does your software support image of JPEG file format? I liked its interface very much. The three simple steps of this software are so easy that even a non-technical person like me can perform it without any external help. I appreciate the work of development team who are involved in developing such an easy software.